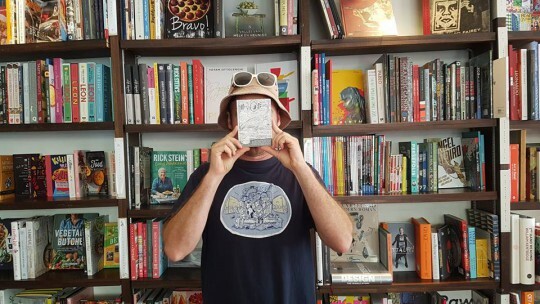 Join us in Spain, Brazil, and South Africa this week as we take you on a literary escapade. The tides of cultural change are reflected in the literary festivals of Spain, Brazil, and South Africa this week as our editors point us to the increased awareness of both past misrepresentation and the lack of representation altogether. As more dismal political news from around the world rolls in, such instances of rectification and progress from the cultural sphere are a source of light and comfort. April might be the cruellest month for some glum, English poets, but in Spain, spring has arrived and ushered in a blossoming book fair season. Alicante has just wrapped up its 2019 Feria del Libre with a refreshing theme of Mujeres de Palabra, celebrated from March 28 to April 7. The long week was packed full of readings, signings, booths, and workshops. This year, many activities were aimed at younger readers. Among many great Spanish writers was a personal favourite, Murcian writer Miguel-Ángel Hernández, whose 2013 novel Intento de Escapada (Anagrama) was translated into English by Rhett McNeil (Hispabooks, 2016) as Escape Attempt and was also translated into German, French, and Italian. Compared to both Philip Roth and Don DeLillo, Hernández’s El dolor de los demás (Anagrama, 2018), which he was signing at the fair, is now high on the reading list. The Christmas season can be oppressive in everything from familial expectation to brow-beating advertising to relentless good cheer. For many of us, Christmas is a time for gathering with family, giving gifts, and singing carols. For others, however, the holiday isn’t a snowy Love Actually postcard scene; in some parts of the world, it features tropical weather and end-of-year department store sales, while in others, it’s a just a regular day. You’ve read the blog’s Summer Ennui reading recommendations, and now we’re back with a list of our favorite Christmastime reads from Assistant Managing Editor Rachael Pennington, Communications Manager Alexander Dickow, and Editors-at-Large Alice Inggs and Barbara Halla. Picture this: it’s December 25 in South Africa and there is drought somewhere in the country. Farmers pray for rain, sink boreholes, shoot dying sheep. The acacia in the bushveld to the north is bone-white and the grass invites fire. The heat is a white heat and cattle bones glare in the sun. The paint on Father Christmas statues outside shopping centres begins to melt and pine cuttings out of water droop. Tempers crackle and flare. The roads are too busy and the accident death toll climbs. White-robed umnazaretha worshipping in the open veld stand out against the brown-grey earth. It is hot and bleak and houses are full because all the family came to visit. “It is a dry, white season” begins South African Black Consciousness writer Mongane Wally Serote’s poem “For Don M. — Banned.” It was written in the early 1970s for Don Mattera, a Xhosa-Italian poet and friend of Serote’s who had been banned by the apartheid government. The first line of Serote’s poem was later borrowed by Afrikaner André Brink for his 1979 novel ’n Droë Wit Seisoen (A Dry White Season). The book was banned too, as well as a subsequent film adaptation starring Zakes Mokae and Donald Sutherland. 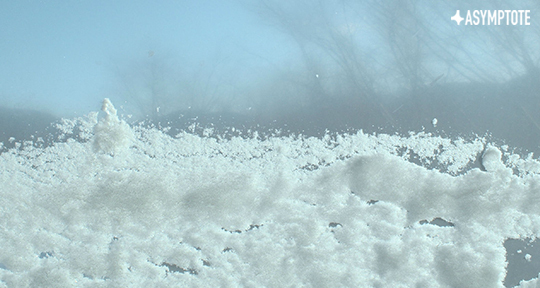 It’s been two and a half decades since those laws were repealed and the cultural whitewash acknowledged, but that line—“It is a dry, white season”—still echoes through summer in South Africa, the season in which Christmas falls; a reminder of the oppressive atmosphere that back then was not limited to the months when the temperature climbed. Asymptote was giving—and continues to give—voice to languages and regions across the globe without ever lowering the curatorial bar. 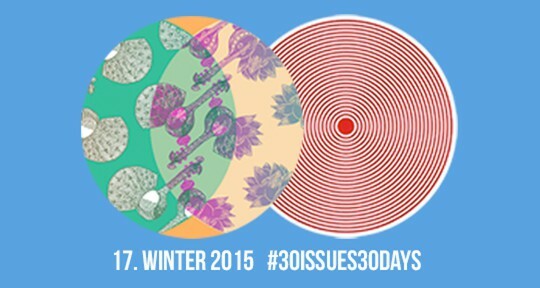 If you’re just joining us, we invite you to revisit our first 16 issues via our #30issues30days showcase here. In honor of our milestone 30th edition, we’ll shortly be launching a contest giveaway with a top prize of $200, so watch this space! Here to introduce our Winter 2015 issue, released one day after 287 supporters brought us past the finish line of $25,000, please welcome Assistant Editor Victoria Livingstone. “I am always trying to push the market very hard,” David Damrosch told Asymptote contributing editor Dylan Suher in an interview included in the Winter 2015 issue. The Harvard professor of comparative literature explained that he strives to bring so-called minor literatures into the canon of world literature by translating, anthologizing, and teaching works from underrepresented regions and languages. Living now under the shadow of Trump, the contents of the issue seem even more desperately near to us. It takes a while for the blog to hit its stride. Editing to a quarterly schedule is different than editing to a daily one, we quickly discover. It does not help that both ‘founding’ blog editors jump ship within three months (Nick’s elegiac last post goes up on 30 October; Zack’s 31 December). Fortunately, the rest rally and get us through. (One bright spot from that time is Patty Nash’s breezy roundups—a breath of fresh air.) Five weeks after it inaugurates, Aditi Machado’s post on the blog gets picked up by Poetry’s Harriet Blog, joining mentions in BBC Culture and The Guardian. The Guardian article gives a nod to Asymptote’s first-ever London event in January 2014, also the first of many multi-continental events in honor of our 3rd anniversary. These go on to include panels and readings in New York, Zagreb, Boston, Philadelphia, Shanghai, Berlin, and Sydney over the next three months. A point of pride: determined to organize an event in Asia, I somehow manage to pull off a reading without a single team member on the ground, thanks to NYU Shanghai, contributors Eleanor Goodman and Eun Joo Kim, and a friend who happens to pass through. In New York, under real threat of snowpocalypse, Asymptote supporters Eliot Weinberger, Robyn Creswell, Idra Novey, Jeffrey Yang, and Daniella Gitlin all show up to our anniversary event at Housing Works emceed by then Assistant Managing Editor, Eric M. B. Becker, to read alongside Cory Tamler, first prize-winner of our inaugural Close Approximations translation contest (as written up in WWB Daily’s dispatch here). Here to get you excited for the Winter 2014 issue (featuring, among others, a translator’s note that I got J. M. Coetzee to write) is Alexander Dickow, runner-up to that very contest and Asymptote Communications Manager since April 2017. 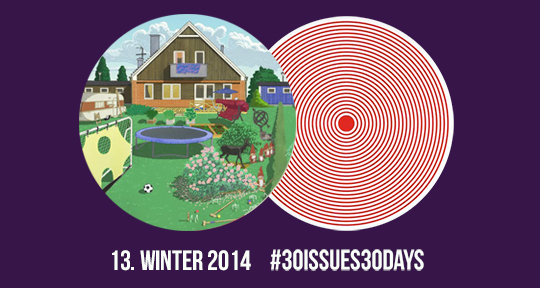 But, first, check out Winter 2014’s issue trailer—probably our best ever—by then Video Producer Sarah Chan. 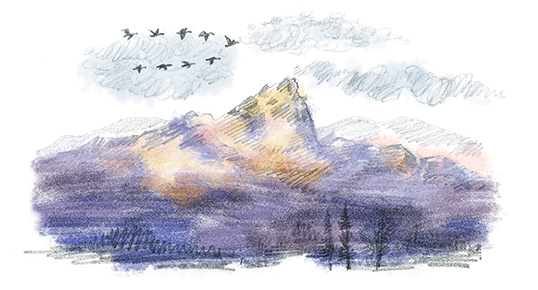 This week's literary news roundup brings us to South Africa, the United States, and Guatemala. We’re back with another round of exciting literary news from around the globe. This week’s dispatches take us to South Africa, the United States, and Guatemala. 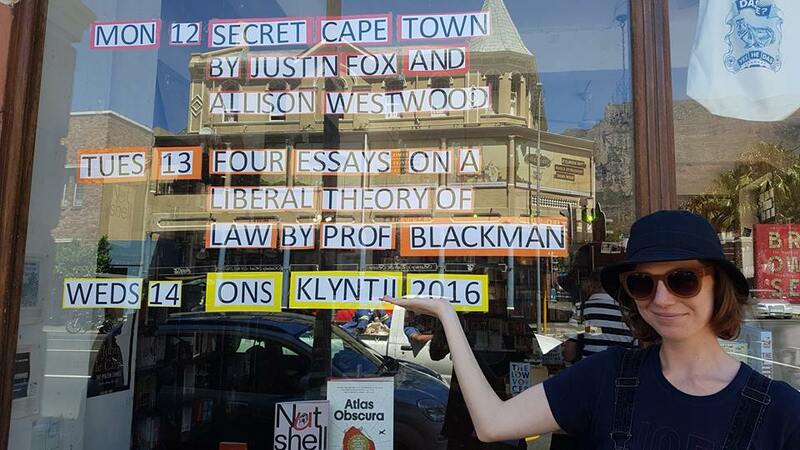 An anticipated event on the Cape Town literary calendar, the annual Open Book festival,will take place from September 5-9. The inclusive festival, at which spoken-word performances and bookmaking classes are added to the program alongside interviews with international authors and panel discussions on feminism, appears to have a particular focus on migrancy and notions of place this year, with several talks hosted by the African Centre for Cities. The attendance of influential urbanist, researcher, and author AbdouMaliq Simone points to this unofficial theme. Simone’s enduring optimism with regards to city spaces and the possibilities they hold for producing new forms of trade, particularly in the context of those inhabitants who are forced to adapt for reasons such as crumbling infrastructure or illegal residency, is a trait that looks to carry over to the rest of the festival. We’re back with another round of exciting literary news from around the globe. This week’s dispatches take us to El Salvador, South Africa, and Tunisia. It was announced in early June that Centroamerica Cuenta awarded writer and LGBT+ activist Alejandro Córdova the 6th annual Central American Prize for the Short Story. At 24 years old, Córdova is the first Salvadoran to win the prize for the Central American region. His short story “Lugares Comunes” (“Common Places”) took him 2 years to finish and is narrated from the perspective of a son attempting to reconstruct the events of how his parents met during the Salvadoran Civil War. Córdova was born just at the end of the war but commented in an interview with InformaTVX that fiction was a marvelous way of trying to comprehend a history that was not his. Córdova also comments on the status of Salvadoran literature and how it is alive and well, not necessarily because of support from the state or from various literary circles, but due to the collective suffering of a complex society in El Salvador. Those complexities can be seen in the country’s literature, which Córdova likens to a strange flower born in the desert, a type of rarity that makes Salvadoran literature even more alluring than other Central American regions. It’s basically a test of endurance—how long can I go without completing it? Happy New Year! 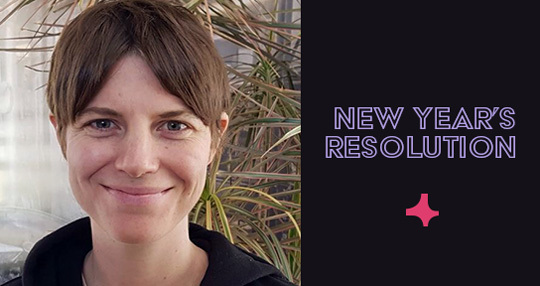 To ring in 2018, we’re showcasing staff members’ New Year’s resolutions. Caitlin O’Neil, Chris Power, Claire Jacobson, and Theophilus Kwek have already submitted theirs to our special New Year edition newsletter (subscribe here if you’re not already on our mailing list). Today, South Africa Editor-at-Large Alice Inggs reckons with the unfinished books on her shelf, resolving to read them before the year is out. There they stand, with bookmarks at various points of incompletion, like paper tongues sticking out in gentle but persistent mockery: the books on the shelf that I have bought but never read or, to be precise, never finished reading. It is at least a universal trait, this type of unfinished business, judging by the many part-read books in secondhand stores, marked with a receipt from a now-closed chain of stores, or a faded family photograph, a bubblegum wrapper, or a dog-eared page. Once, midway through a secondhand Elmore Leonard, I even found an airplane ticket—it was from 1982 and marked “non-smoking”. Our editors choose their favourites from this issue. As writer-readers, we’ve all been there before. Who of us hasn’t been faced with that writer whose words have made us stay up late into the night; or start the book over as soon as we’re done; or after finally savoring that last word, weep—for all the words already written and that would never to be yours. The feeling is unmistakeable, physical. In her essay, “Animal in Outline,” Mireia Vidal-Conte describes this gut feeling after finishing El porxo de les mirades (The Porch of the Gazes) by Miquel de Palol: “What are we doing? I thought. What are we writing? What have we read, what have we failed to read, before sitting down in front of a blank sheet of paper? What does and doesn’t deserve readers?” There are the books that make you never want to stop writing, and the books that never make you want to write another word (in the best way possible, of course). Vidal-Conte reminds writers again that none of us is without context—for better or for worse. Her essay is smart, playful, honest, and a must-read from this issue. This just in—the hottest news in the literary world from the corners of the globe! Who said being an armchair traveller is no fun? 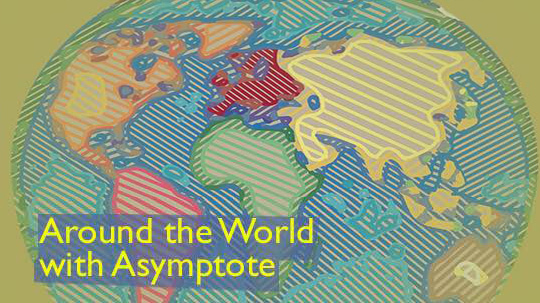 It’s Friday, which means it’s time for a literary trip around the world with Asymptote! From a digital archive of poetry and innovations in Afrikaans literature to Brazilian literary festivals and summertime opera in Austria—our correspondents have lots to fill you in on! Badilisha Poetry X-change—an online archive and collective of African poets—has announced a tour aiming to document poets who write and perform their work in languages indigenous to South Africa. 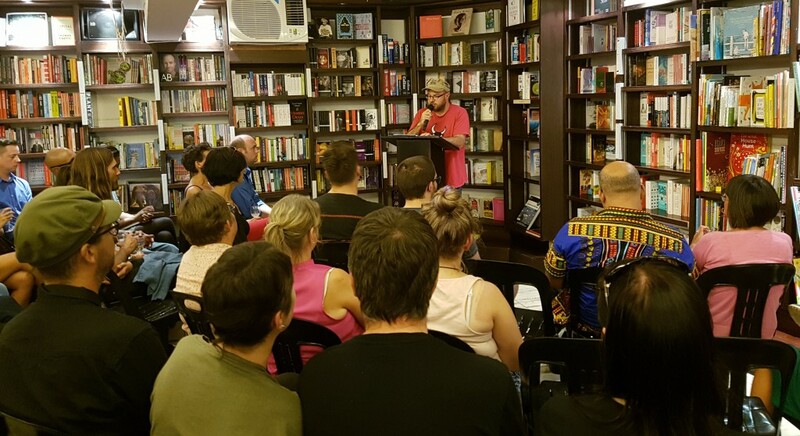 A previous tour in 2015 visited cities in Botswana, Tanzania, Ethiopia, and South Africa, and recorded material from 186 poets, of which 100 are featured on the Badilisha website. Tour dates will be announced imminently on social media. Another literary event to look forward to is the Open Book Festival (September 6 to 10, Cape Town). The program list covers topics ranging from small publishers to sci-fi, writing urban spaces, the politics of tertiary institutions, and activating queer spaces in Africa. Top local writers speaking at the event include Achmat Dangor (Bitter Fruit), Etienne van Heerden (30 Nagte in Amsterdam), SJ Naudé (The Alphabet of Birds), Damon Galgut (The Good Doctor), Gabeba Baderoon (A Hundred Silences) and Sindiswa Busuku-Mathese (Loud and Yellow Laughter), as well as award-winning translator Michiel Heyns and playwright Nadia Davids. 2016 Man Booker winner Paul Beatty (The Sellout) will also participate, along with Fiston Mwanza Mujila (Tram 83), European Union Prize winner Carl Frode Tiller, Nigerian author Yewande Omotoso (Bom Boy) and 2017 Caine Prize winner Bushra al-Fadil. Nthikeng Mohele has been awarded the University of Johannesburg Prize for South African Writing in English for Pleasure, his fourth novel, while Mohale Mashigo picked up the debut prize for The Yearning. Previous UJ Prize winners include Zakes Mda in 2015 and Ivan Vladislavić in 2011. Three new publications are making waves in Afrikaans publishing. Acclaimed novelist Eben Venter’s Groen Soos Die Hemel Daarbo (soon to be published in translation) explores modern sexuality and identity. It is the author’s first offering since Wolf, Wolf (2013, translated by Michiel Heyns). Radbraak, a debut poetry collection by Tjieng Tjang Tjerries author Jolyn Phillips, presents a new approach to writing Afrikaans, while Fourie Botha’s second (at times surreal) collection, Krap Uit Die See, addresses masculinity, using the sea as metaphor, and medium—that is, a channel between states of being.